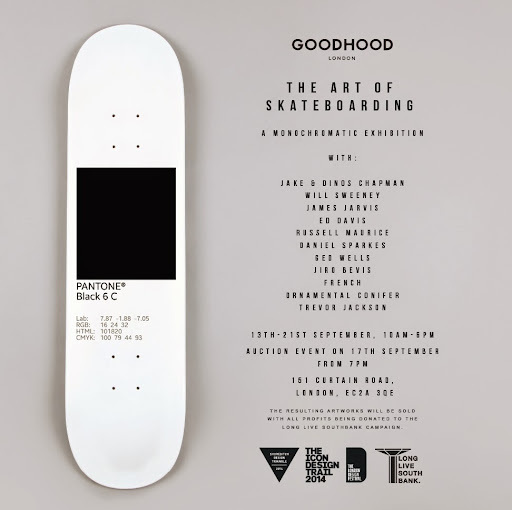 London's Goodhood store, purveyors of fine streetwear and arty nik naks are holding an exhibition of customised skate decks this week with all decks being auctioned off and proceeds donated to The long live south bank campaign. Artists featured include Trevor Jackson, Horfee, Russell Maurice, Will Sweeney, James Jarvis, French and Jiro Bevis. The auction takes place tonight (17th September) at 7pm.